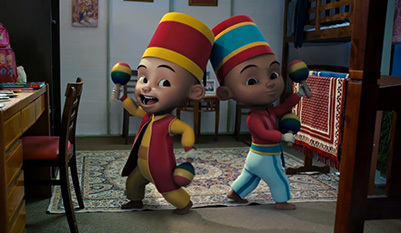 Title: Upin & Ipin Jeng, Jeng, Jeng! Les’ Copaque Production Sdn. 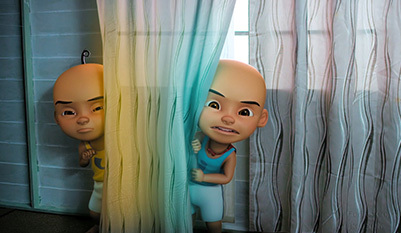 Bhd.’s second feature film entitled “Upin & Ipin: Jeng, Jeng, Jeng!”, is the first film in Malaysia that combines 3D animation and live-action. 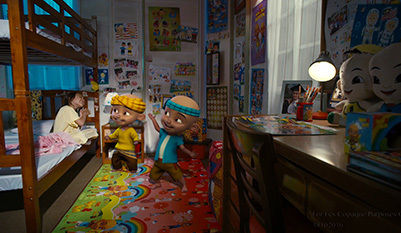 This film is a collaboration between two studio giants in Malaysia, with its shooting process held around Selangor and Kuala Lumpur, and the animation process produced solely by Les’ Copaque Production. 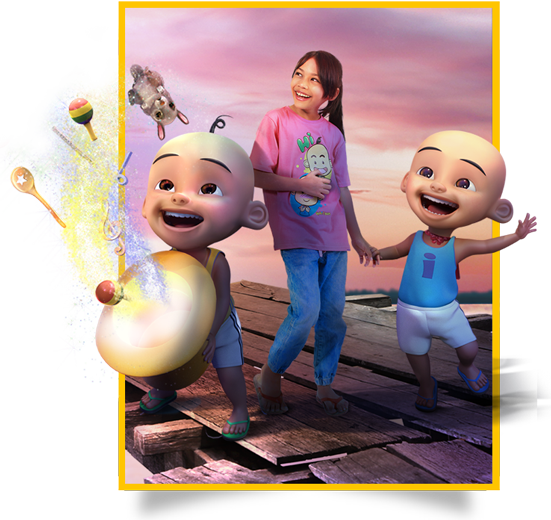 The film tells of the life of a young orphan girl named Balqis whose favourite animated characters are none other than Upin and Ipin. She lives in the orphanage with her friends under the care of a young woman named Noreen. 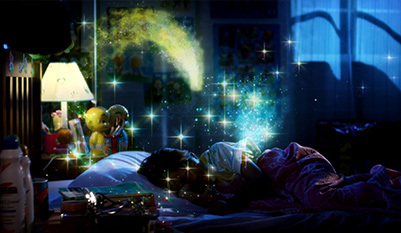 One day, a man named Zaman visits the orphanage with ulterior motives. After overhearing Zaman’s conversation with Noreen, Balqis finds out that Zaman, the landlord’s son, intends to take over the orphanage and forces Noreen to step down and bring the kids away, rendering them homeless. Angry and heartbroken, Balqis enlists help from Upin and Ipin in efforts to save their home. Meanwhile, Awie, a once-popular rock singer, is facing a financial crisis. With his glory days behind him, he is in desperate search for an opportunity to release his new album in order to make some money. 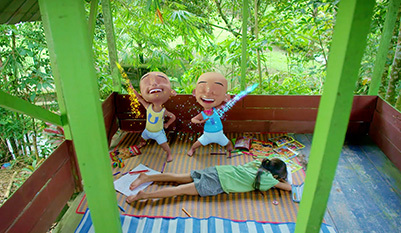 Awie and his assistant Bo cross paths with Balqis, which strikes Upin and Ipin with an idea to save the orphanage.